The Madison Waldorf School is looking for a pianist to play accompaniment for dance rehearsals during the school day this Fall. Tuesdays, between 10:00 and 3:00 approx. Please send me your name, contact information, experience, hourly rate (or daily rate), and why you are interested in this unique opportunity. Looking for a pianist to play at Olbrich Gardens for a wedding ceremony. Total time would be about one hour. Date and time: August 1, 2015 2 pm. Please contact Gina at ginamay9@gmail.com if you are interested. Thank you! I am seeking a piano player for a one (1) hour gig to play light cocktail music for a wedding rehearsal dinner. The University Club has a grand piano for your use. I realize one hour is not much time for a gig, but, as an incentive, I am willing to pay top dollar for that hour. Now hiring guitar, piano, and brass teachers for fall 2015. We are looking for a folk, blues, small band, jazz combo to provide entertainment at the Department’s Birthday bash in the Capital Brewery Beer Garten. We are looking for a small singing group or a-Capella group to sing UW and Wisconsin Classics at an outdoor lunch. 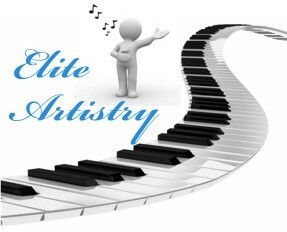 We are looking for a quartet, strings, piano, guitar, harp musician in the classical genre. Currently we have 2 positions open for Choir Director for VSA Choir – one in Madison and one in Stoughton. This paid position reports directly to the VSA Wisconsin Program Director and is responsible for the overall development and facilitation of the choir. Choir directors utilize adaptive techniques to enable members with varying abilities to learn about pitch, tone, rhythm, movement, and composition. Instruments, such as tone chimes, drums and rhythm sticks may also be used to broaden the musical experience and maximize participation by everyone. The VSA Choir of Madison rehearses bi-weekly on Tuesday evenings at First United Methodist Church in Madison from September through June. We are also looking for student interested in being a piano accompanist for the Madison Choir’s rehearsals and performances. The UWHC Department of Medicine is looking to hire a few student musicians (one pianist and 2 strings) to play at an end-of-program event. The event is the last part of our Department-wide Quality Improvement online curriculum program that we offer to a large number of fellows across various medicine specialities. Pianist needed for July 11 event from 9:30-11:30pm. Upper Lobby of Overture Center, Madison WI. Popular songs & some classics preferred, may ask pianist to learn one piece if possible. Private party, adults, about 70.